Company pages are must-have for every business, even if you are a one man band. 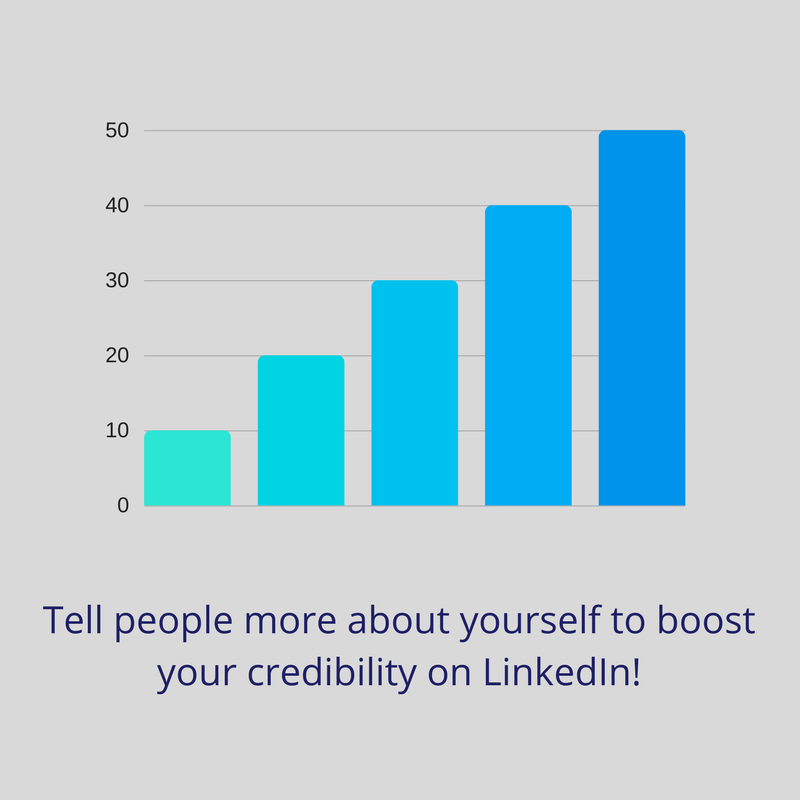 Firstly, if you don’t have a company page on LinkedIn, this can negatively affect people’s perception about the credibility of your business. Secondly, it will help more people to find your business in the first place. This extends beyond the LinkedIn platform; Google look favourably on company pages in their results and will often return these in one of the first set of results. This then gives an additional search result in the search engines which you have complete ownership and control over, and an additional door into your business for potential customers. An effective LinkedIn company page should tell your company’s story and give people a reason for doing business with you. Tip: Gaining followers on your LinkedIn company page should help get you even more exposure. Make sure that you are placing a link to your company page on your website so that people can find it, and if appropriate why not also add to your business email signatures. Don’t be afraid to ask people to follow the page too – including your customers, followers on other social networks, and your employees. 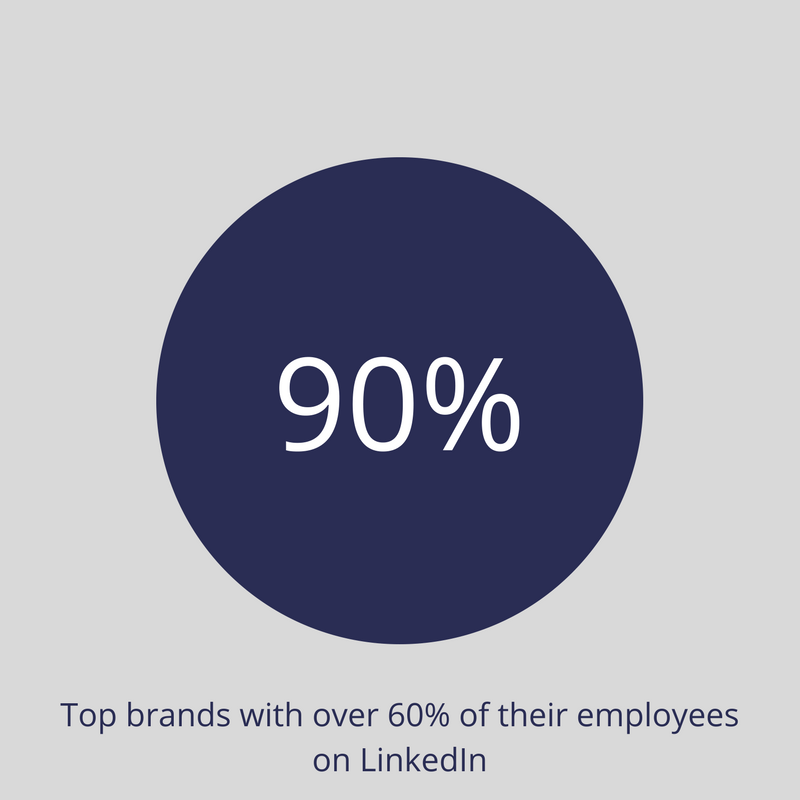 A study by BrightEdge found that 9 of the top 10 brands with the most followers on LinkedIn have at least 60% of their employees on LinkedIn. Showcase pages an extension of the company page that allow you to segment your messaging to a more specific audiences. You can create dedicated pages for different brands, businesses and initiatives through separate showcase pages, which will all be linked to your master company page. For example, if you are a lawyer, you could have separate pages for corporate law, another for family law, another for wills and probate, so on and so forth. These give you an opportunity to position yourselves as a thought leader for very specific audiences and engage with them in the right context. Having personal pages for employees is also very important, especially for those in customer or supplier facing roles. Having personal pages will help to build and strengthen any existing relationships they have, and will allow new people who are potentially interested in forming a professional relationship with you the opportunity to check out your credentials which will help build trust. Once you have a page and start making connections, people will be able to easily recommend you when people are looking for the services that you offer, and will have a method of contacting you directly. 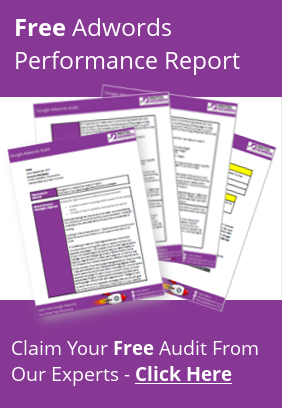 Personal pages should be optimised to fit the role and the type of people you are looking to attract. For example, if you run a website development agency and want to attract more clients from the industrial sector, your profile should tell the story not only in becoming a website developer, but also showcase your experience with that sector throughout your career. Tip: Having a completed profile will help you to get more views, so take the time to complete your profile and also to keep it up to date. LinkedIn data shows that: profiles with a picture get 14x more views than those who don’t have one, profiles with endorsements get 15x more views, profiles with more than 1 work experience listing get 12x more views and those who write a summary about themselves that’s longer than 40 words get 7x more views. Posting regular updates from both your company page and your personal page is a great way to let your network and followers know when you have news to share. Posts appear directly into the feeds of those who are connected to you, and therefore offers you a simple solution for getting a message out there about your business and services. If people start to respond to that post either by commenting, liking or sharing it, it will then spread to their network, and can soon get in front of a wider audience. Tip: Follow the “Jab Jab Hook” Approach to posting content – provide valuable, timely and contextual micro content that will help to encourage engagement and build a community and then when the “jabs” are well managed and received, put in some “right hooks” sales messages in-between that will successfully convert traffic into sales. 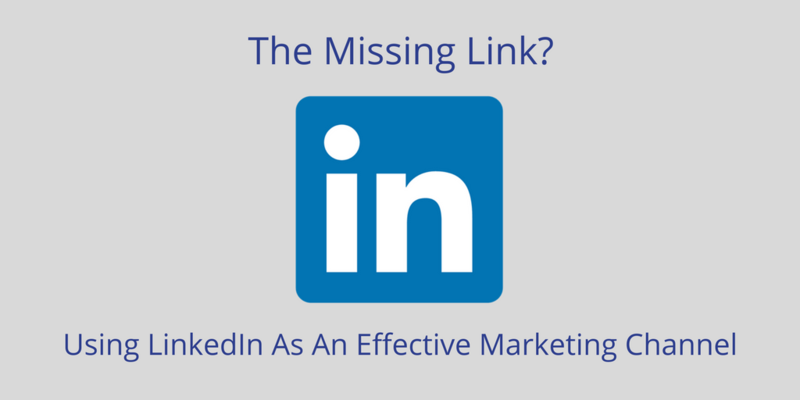 LinkedIn also have an impressive publishing platform within the channel which allows members to publish full articles about their expertise and interests beyond their direct network. Whilst posting professional insights onto their content platform is tied to your personal profile, and can be seen with your connections in their news feeds just like a post, members that aren’t in your network can find your article as it may be searchable both on and off LinkedIn, depending on your profile settings. Publishing articles through LinkedIn gives everyone a real opportunity to showcase professional expertise, by sharing your knowledge and experience within the industry that you operate. It’s a great platform for sharing snippets from existing content that you may already have such as blogs, reports, whitepapers and case studies. Tip: Make sure that you include links back to your website within the content of the article so that those who are interested can find out more about your business. Ideally, you want to be taking them out of LinkedIn where they can get easily distracted, and onto your website which is talking just about you and your services. Whilst LinkedIn will give you some basic Analytics about how many people read your articles, we also recommend using UTM tagging in your links to add campaign parameters to your URLs so that you can track traffic from each article easily in Google Analytics. SlideShare is now also integrated into LinkedIn, and offers businesses another opportunity for showcasing their expertise but in a much more visual way. When you consider that 75% of the sensory neurons in our brains process visual information, using images and graphics to make your case seems like a sound course of action. SlideShare offers a solution for presenting your business information through presentations, videos, infographics and other documents to your LinkedIn network. If you have videos or webinars available that help to demonstrate your business’s authority around certain topics, SlideShare is a great place to host them and get them seen by its 70 million monthly visitors. Tip: Avoid death by presentation! Look to provide 10-30 slides with around 24 words per slide and include 19 images. If you’re offering is quite complex and needs further explanation, look to add audio to your presentation and turn it into a video. Next time I will be looking at the paid advertising opportunities available in LinkedIn.